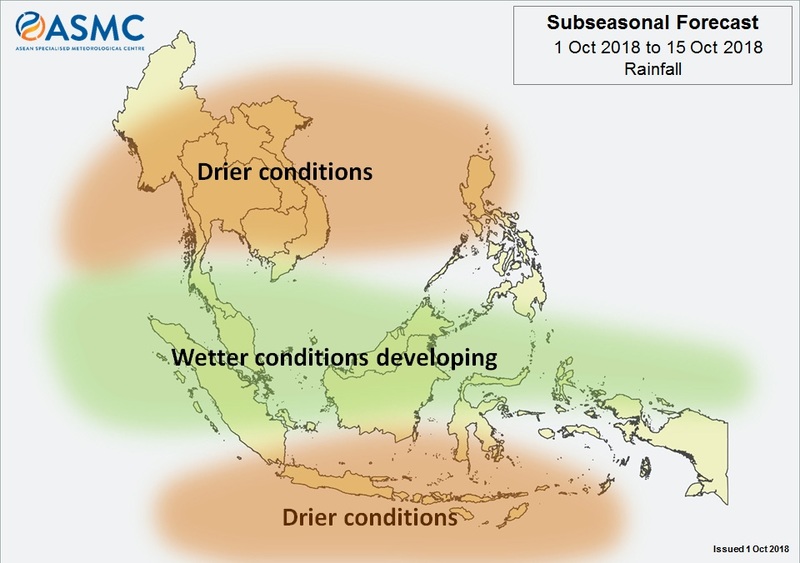 Prevailing drier conditions are expected to persist over the northern ASEAN region, although the extent and magnitude of the conditions around the South China Sea could be influenced by the presence of typhoons in the surrounding region. A band of above-average rainfall is predicted to develop around the equator and is expected to persist until the end of the first fortnight in October. During the outlook period, the drier-than-average conditions surrounding Java are expected to continue. These conditions are in part related to cooler sea surface temperatures in the southeast tropical Indian Ocean. 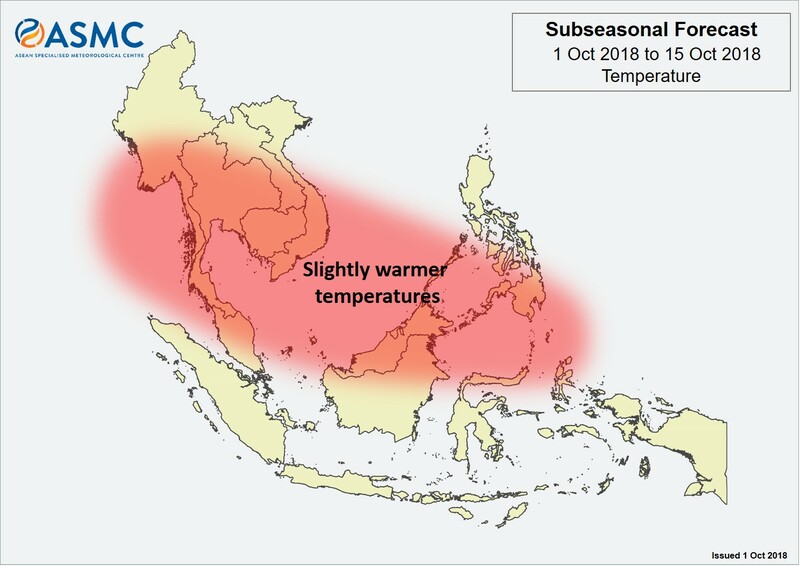 Slightly warmer temperatures are expected over the northern and central ASEAN region, including Thailand, parts of Laos and Vietnam, Cambodia, Malaysia, and the southern Philippines. An MJO signal has developed in Phase 8. The MJO is expected to strengthen and propagate eastward during the first fortnight of October and contribute to the above-average rainfall around the equator.